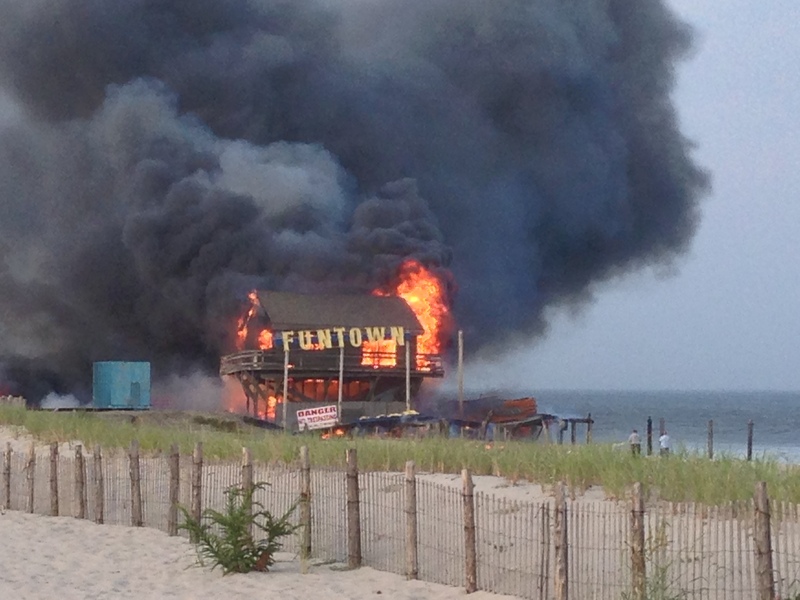 A hearing on the Seaside Park borough master plan will address the town’s vision for the future of the northern portion of the boardwalk and the area of Funtown Pier, which were destroyed in the Sept. 2013 boardwalk fire. The meeting, which will be held July 26, is required by the state as part of a periodic update of each town’s plan, but in Seaside Park the meeting will take on special importance due to the ongoing debate as to what type of structures should be allowed where the pier once stood. In municipal land use law, a town’s master plan depicts the current state of land use town-wide, and serves as a guide for future building and zoning codes. The master plan identifies the type of development – residential, commercial or mixed-use, for example – that should be approved in a given area, how land use should be used to spur economic development, and where it is appropriate for developers to increase density or building heights. The question of height will, most likely, be the most critical aspect of the master plan when it comes to the boardwalk and pier area. Funtown Pier’s owners have proposed rebuilding the pier with tall thrill rides that would, presently, require a variance from the borough since they are taller than the current land use law allows. Bill Major, owner of the pier, has said the large thrill rides, which would tower 200 to 300 feet in the air, would justify the estimated $20 million cost of rebuilding Funtown. The master plan will lend guidance to the planning board members who will eventually hear Funtown’s case. “Some of the biggest changes, or recommendations for changes, will be in the plan,” said Councilwoman Nancy Koury said. The discussion will take place at the July 26 planning board meeting, which takes place at 6:20 p.m. in the council meeting room.